Wine producers, exporters, importers, distributors and F&B professionals are gathering in Singapore this year for the 8th edition of the World Wine Meetings in Asia. 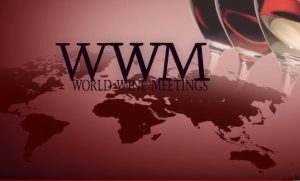 Over 120 buyers from around Asia and at least 100 wine producers from around the world will be at the Shangri-La Hotel Singapore from 24 to 27 May for this year’s edition of the WWM Asia. “The success of the previous World Wine Meeting events in Asia is widely recognized, both by producers that took part in them, as well as by buyers that met their current suppliers,” event organizers said. On its website, World Wine Meetings organizers said the event is committed to providing a direct and effective platform to wine producers, exporters, importers, distributors and F&B professionals to connect and do business successfully. “Our team’s aim is to help all participants achieving their goals, meeting potential business partners and expand their business activities,” the organizers added. A number of business-to-business meetings have been arranged for the four-day event. It will also feature wine tasting and a presentation on wines with character and exceptional wines from Beaujolais. According to information from the event’s website, the convention gives wine producers and wine merchants the chance to meet importers from all the main Asian markets. “With an incredible growth rate in wine consumption over the last five years, Asia is the market of tomorrow. 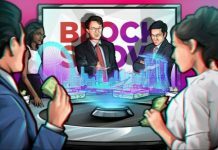 However, it is a huge market, where the identification of good commercial partners is not easy,” the organizers said. For wine buyers and producers, the gathering gives them the chance to meet around 20 winemakers, selected according to their profile (appellation, number of cases produced, winemaking methods, exclusivity), in pre-organized 40-minute meetings.